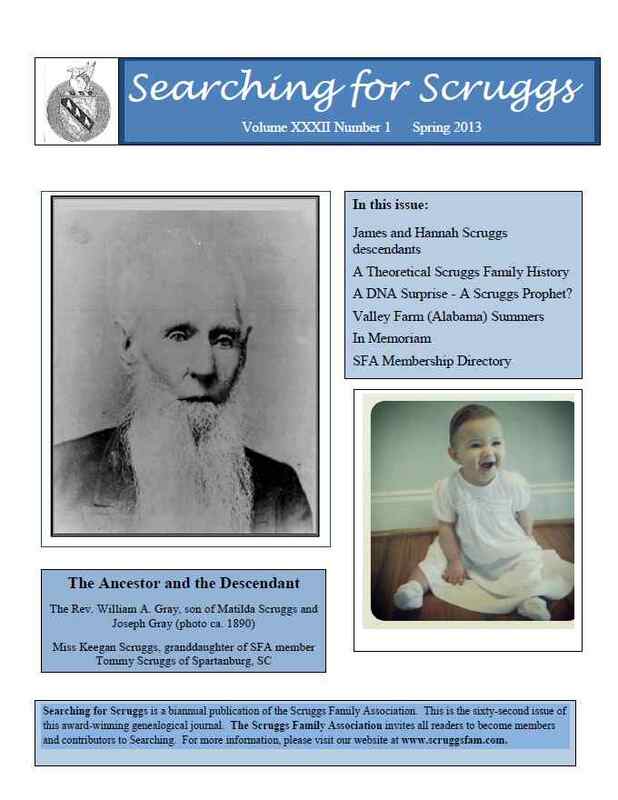 The Spring 2013 issue showcases some very interesting work by our members. Lura Wight has done everyone a great favor by gathering together in one place a tremendous amount of information around the 18th century Goochland/Buckingham couple, James and Hannah Allen Scruggs. Two other articles are fruits of our DNA project combined with historical research efforts. Both are surprises – one relates to a Scruggs line that does not match the other Scruggs lines and the other is a totally unexpected match with Scruggs DNA. Both provide fodder for speculation – and further research! Finally there is a most enjoyable, nostalgic article about summers spent in rural northern Alabama with Scruggs grandparents in the post-World War II years. 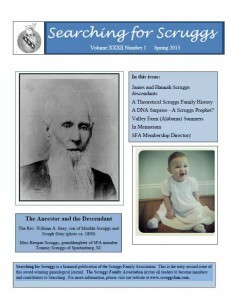 If you are not a member, why not join and start receiving Searching for Scruggs?